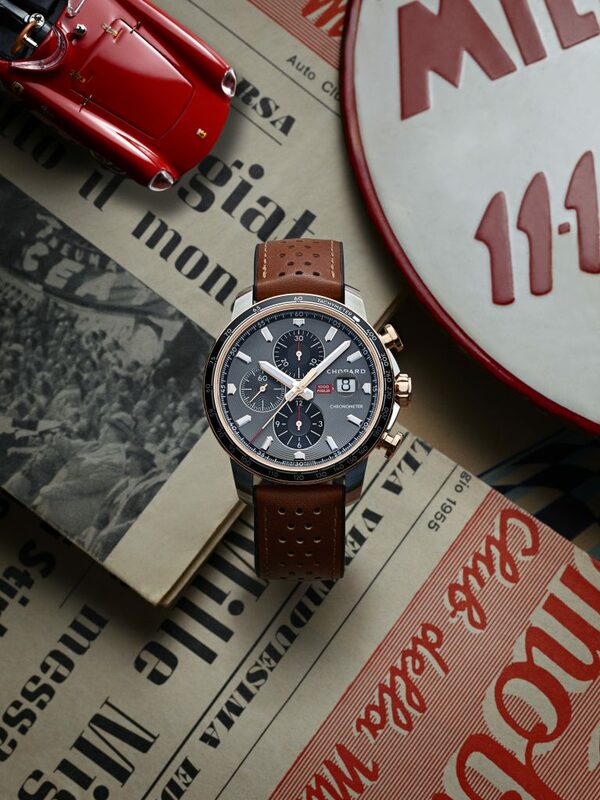 In 2018, Chopard celebrated three decades of partnership with the Mille Miglia race, “la corsa più bella del mondo” which is raced over a 1,600 km loop running from Brescia to Rome and back. 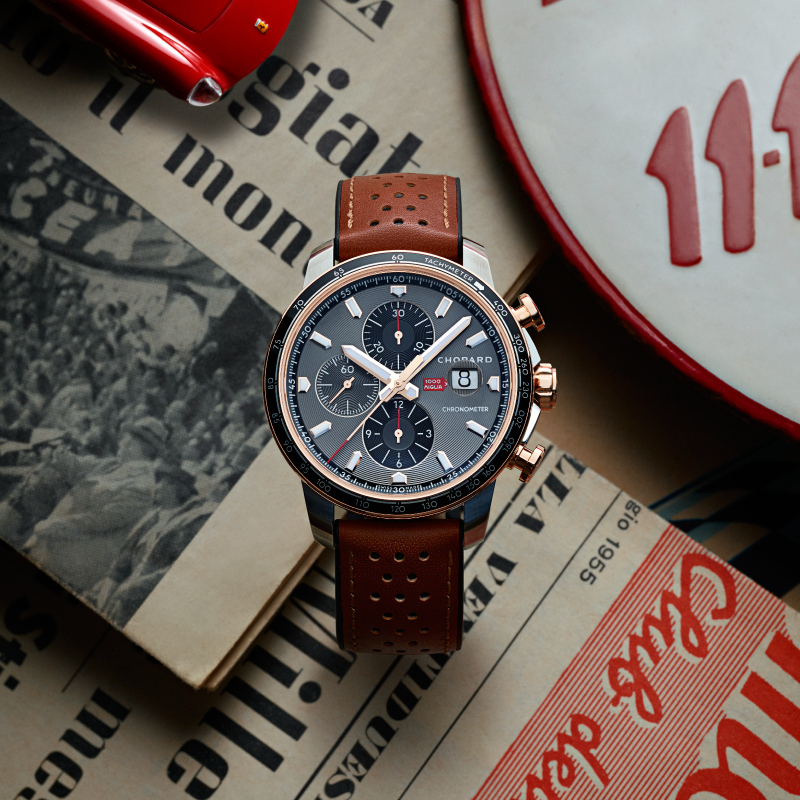 This unique alliance in the world of classic motorsport, which reflects Chopard Co-President Karl-Friedrich Scheufele’s passion for classic cars, continues this year with the Mille Miglia 2019 Race Edition. 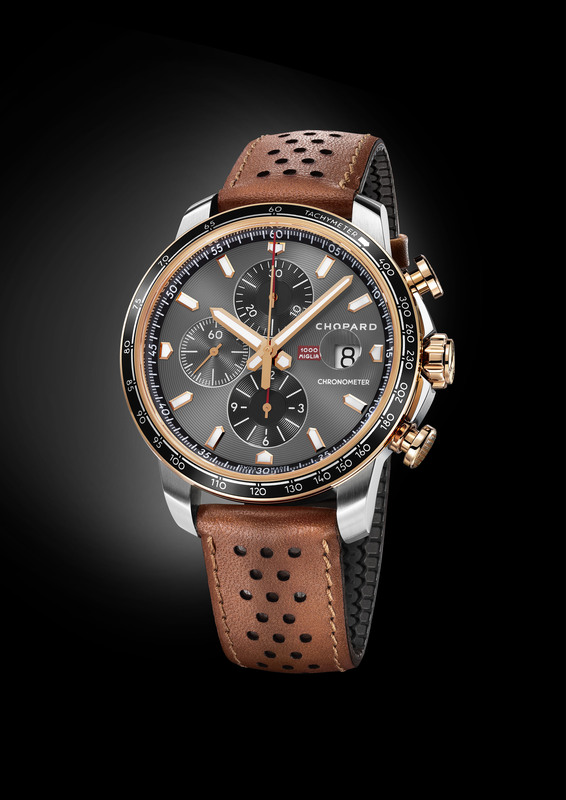 Available in a 1000-piece limited edition in stainless steel or 250-piece two-tone limited edition in stainless steel and 18-carat rose gold, this distinctive, sturdy and accurate chronograph reflects a tradition of watches made for contemporary gentlemen and imbued with an inimitable vintage spirit for speed-loving drivers… who never skimp on style! The sweet fragrance of Italian scents, the charm of Tuscan villages nestled in the hills, the winding roads of Lombardy hurtled along by drivers navigating the nearly 1,600-kilometre rally route. Mille Miglia is all that at once: a legendary competition that Enzo Ferrari unhesitatingly referred as “la corsa più bella del mondo”, but also a unique gathering of more than 400 historic cars and their drivers, all devotees of these mechanical marvels with their own unique roar, and which can only be driven with class. This four-stage rally driven from Brescia to Rome and back was bound to appeal to Karl-Friedrich Scheufele, a keen classic car connoisseur – and driver – when his schedule permits. Especially since the spirit of this race, which began in the 1920s and was resurrected in 1977, carries memories of the finest hours in motorsport, with the Dolce Vita as an added bonus. 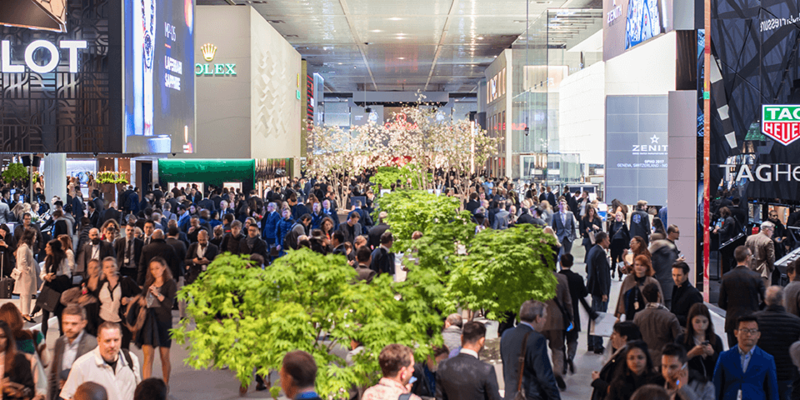 Since 1988, Chopard has been a key partner to this legendary competition. These ties are notably expressed through the Mille Miglia watch collection, which has taken a prominent place among the Maison’s timepieces thanks to its resolutely sporty character tinged with deliciously retro accents, much like the rally that inspires it. The GTS line perfectly embodies this osmosis through resolutely current vintage watches capable of incorporating historical codes within a contemporary and uncompromising timepiece. 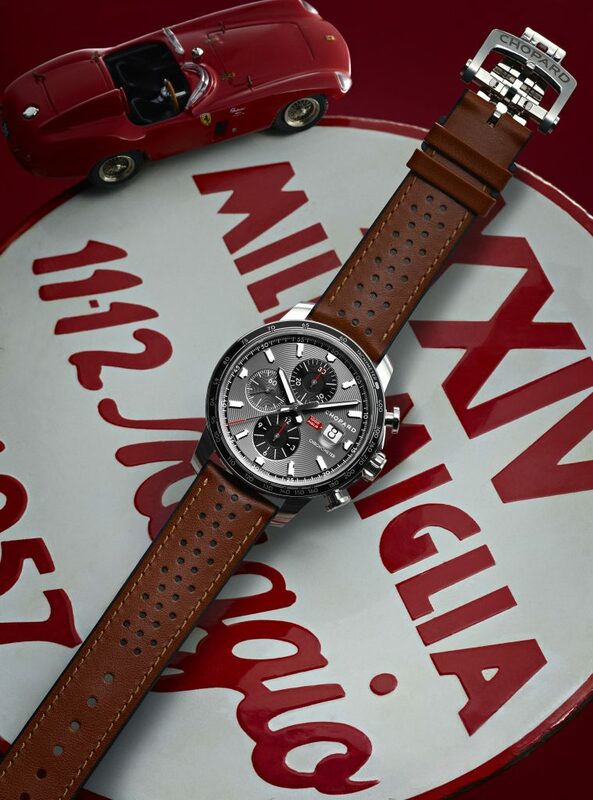 The Mille Miglia 2019 Race Edition model vividly illustrates this approach in the two versions on offer. 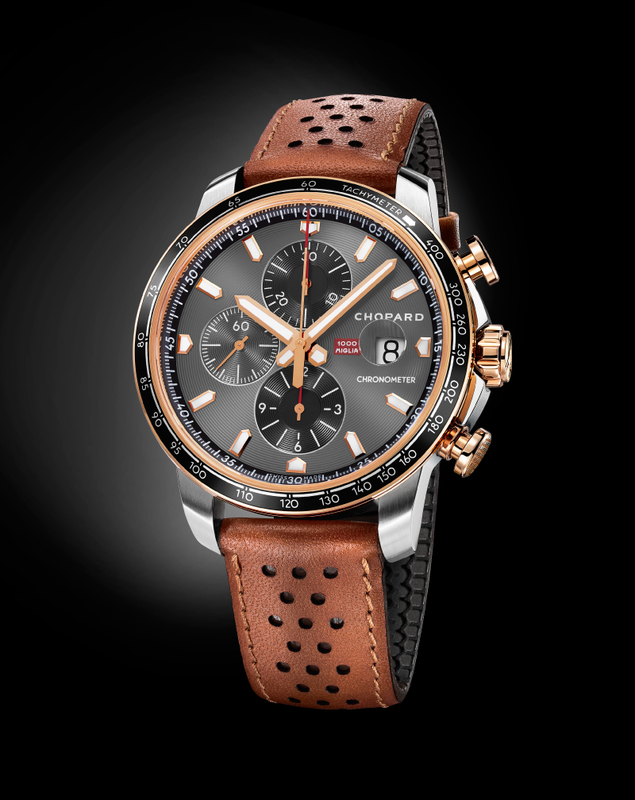 The 250-piece steel and 18-carat rose gold version evokes a more peaceful sporting experience in which obsession with speed gives way to the importance of movement is every bit as striking as the racy, intrepid looks of the 1000-unit version with a stainless steel case designed for gentlemen drivers who approach life like a hairpin bend. 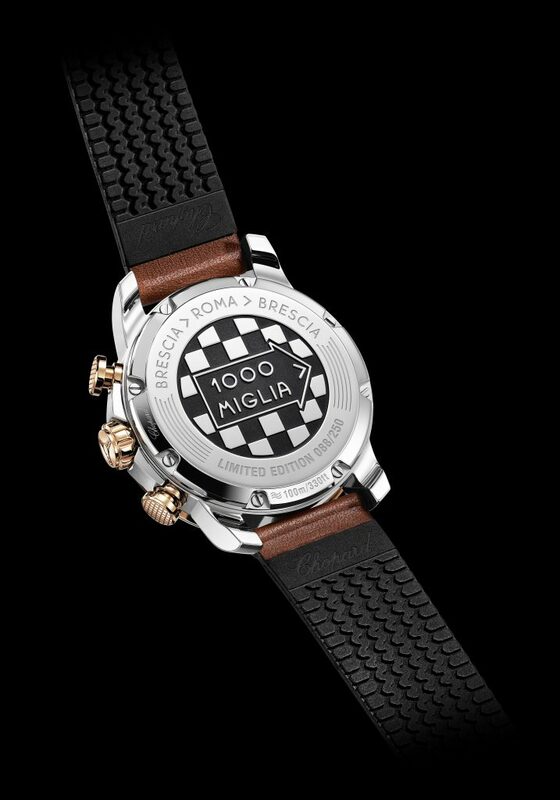 In both options, the Mille Miglia 2019 Race Edition watch is first and foremost a watch designed for racing, a veritable horological speed machine. 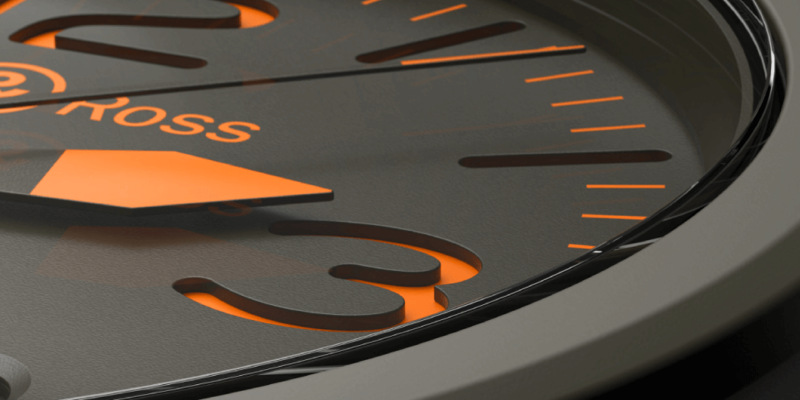 Alongside its obvious robustness and durability, it features a generous 44-mm case with a screw-in back and water resistance guaranteed to 100 metres. 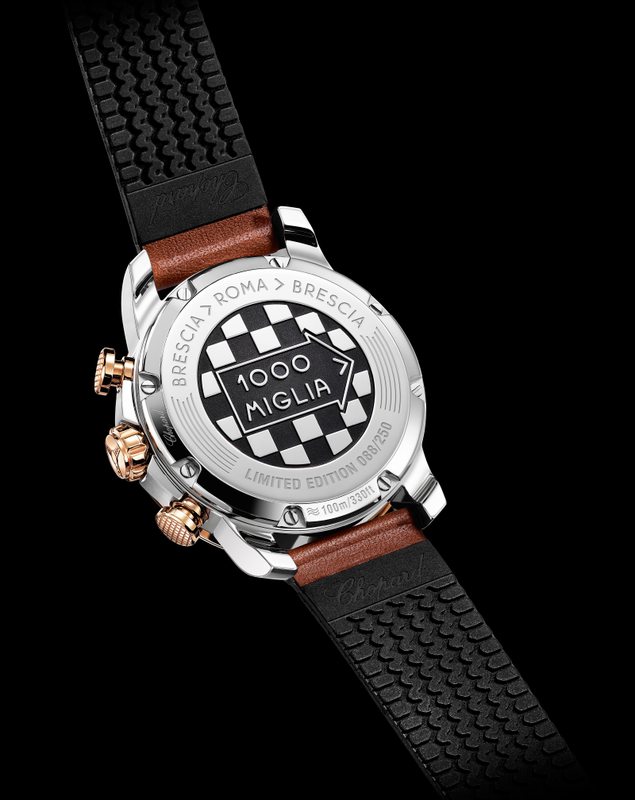 The case-back is also engraved with the Mille Miglia logo on a black PVD-treated checkerboard pattern reminiscent of the race commissioner’s flag. This efficient high-performance model is powered by a self-winding chronograph movement whose accuracy is certified by the Swiss Official Chronometer Testing Institute (COSC) and with a full two-day power reserve. Operating at a frequency of 28,800 vibrations per hour, this distinctive ‘engine’ ensures eighth-of-a-second measurement of short times, perfectly adapted to old-timers’ road-going exploits. 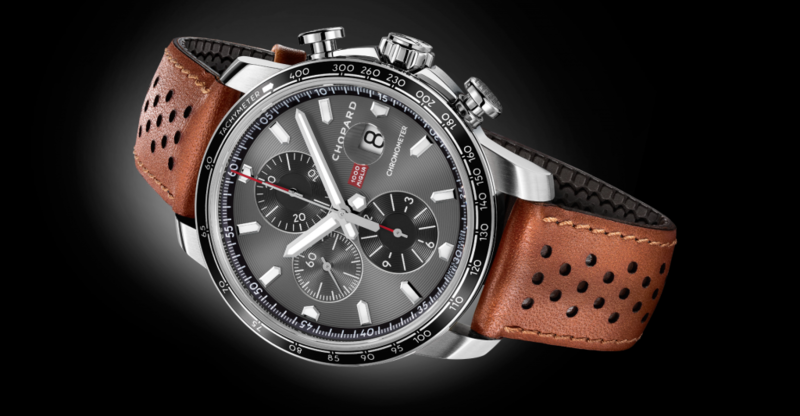 For those accustomed to eating up the miles the tachymeter scale engraved on the blackened aluminium insert of the bezel serves to calculate the average speed during the race. An essential piece of information for drivers, given that an endurance event such as the Mille Miglia race is won by regularity. 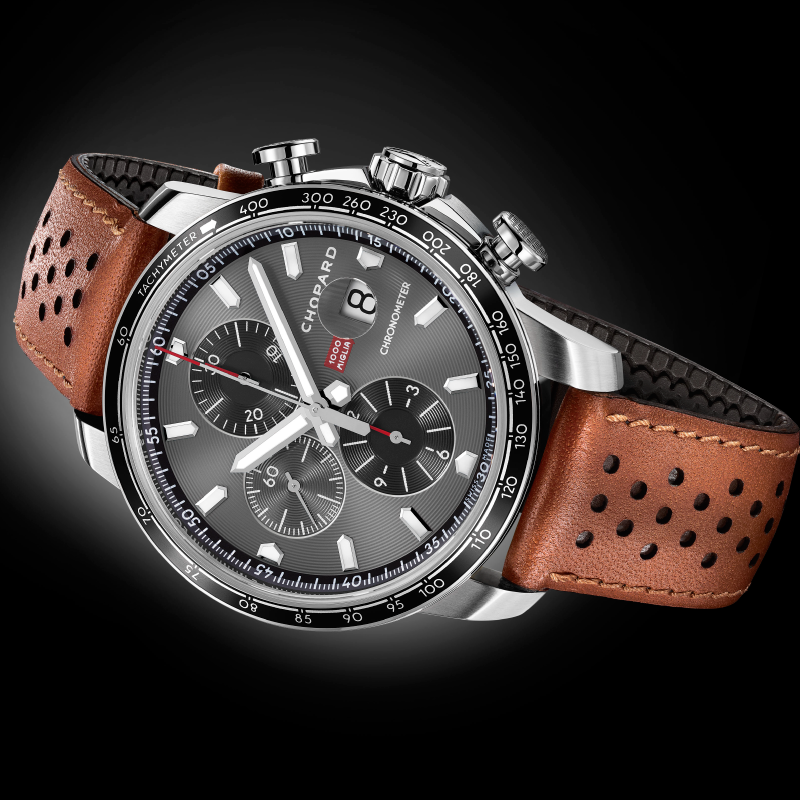 The robust, high-performance Mille Miglia 2019 Race Edition, which belongs to the Mille Miglia GTS collection originally presented in 2015, is also highly functional, particularly with its two ergonomically designed chronograph pushers. The hands and hour-markers are coated with Super-LumiNova®, ensuring perfect readability of the time indications both day and night. An essential feature in the heat of the action, when driving requires full attention in case of bad weather or night-time arrivals. 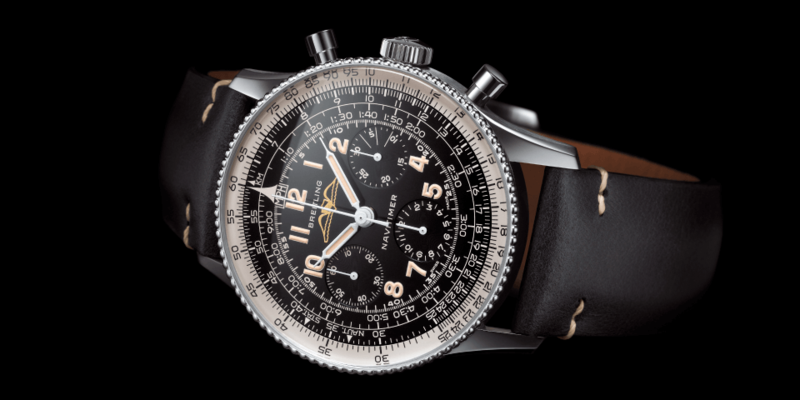 In the same spirit, so as to leave as much space as possible on the dial, the seconds numerals pointed to by the dedicated sweep-seconds hand have been integrated into the inner bezel ring. The two chronograph counters, positioned along the vertical axis with the minutes at 12 o’clock, and the hours at 6 o’clock, appear in anthracite grey with a white transfer, creating a perfect contrast with the silver-toned dial featuring small seconds at 9 o’clock. 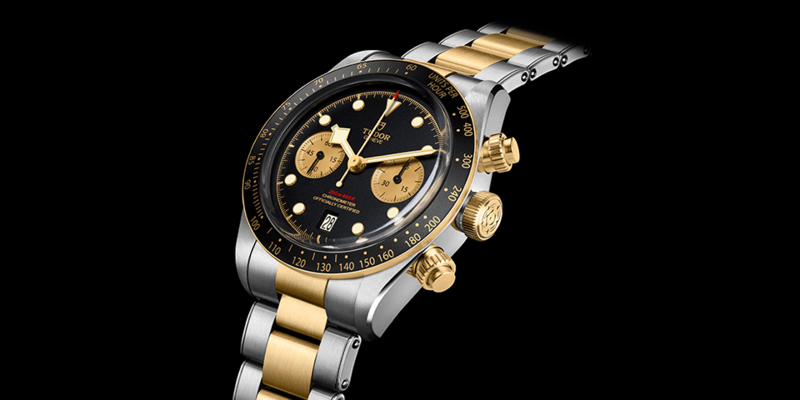 The colour coding with red for the hands and black on the counters, inner bezel ring and bezel thereby serves to highlight the chronograph-related functions. 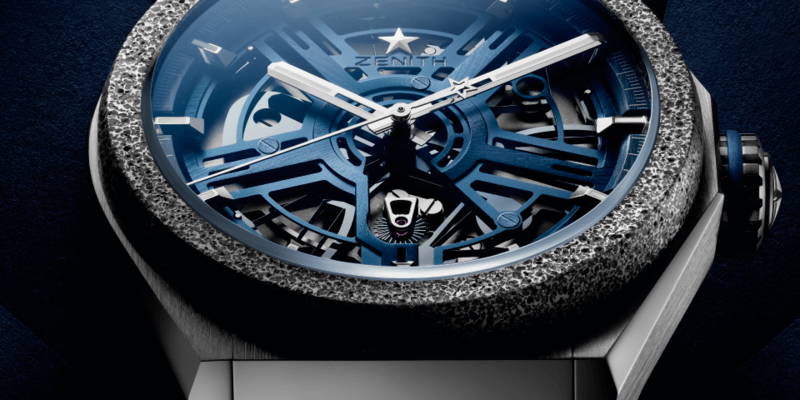 The date, positioned for the first time beneath a domed crystal, reflects the same concern for legibility. 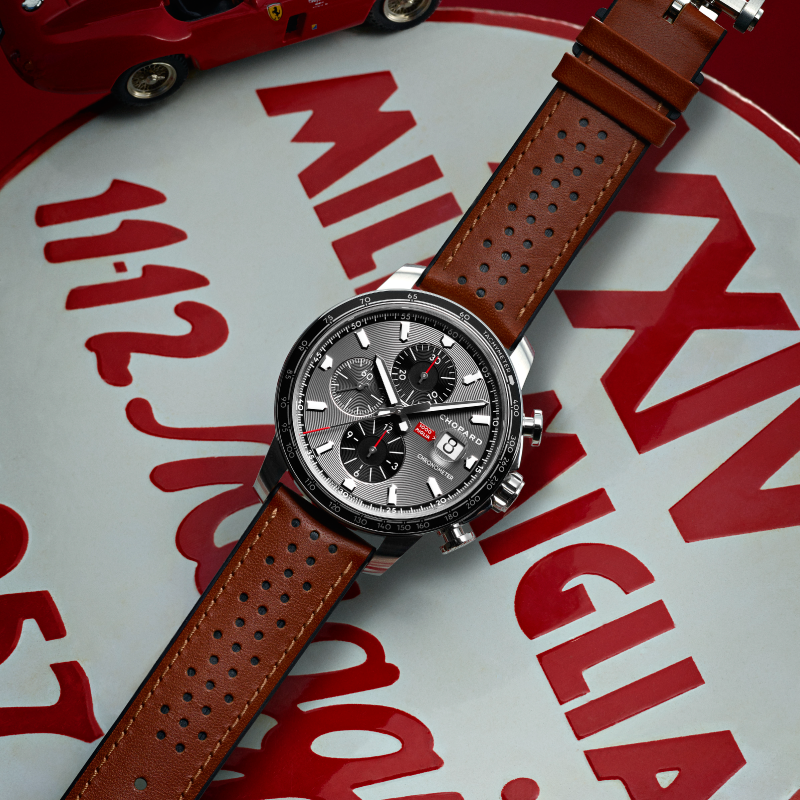 While every inch the measuring instrument, this Mille Miglia 2019 Race Edition nevertheless displays to the full the innate elegance that is inextricably bound up with the collection. The profile of the watch has been redesigned in terms of the case curves, complemented by a domed crystal creating an even more beautifully rounded effect. The camel-coloured perforated calf leather strap with tone-on-tone stitching is a vivid reminder that this naturally powerful yet classically handsome watch was designed as a racing companion. An original nod to the community of driving adventurers, the strap lining features a Dunlop 1960s tyre-tread motif ensuring maximum wearer comfort as well as providing a reminder of beautiful driving adventures. Mille Miglia is exactly that: a daily escapade with a watch on the wrist that evokes the thrill of classic racing cars and the charm of Italian insouciance, all served by an implacably accurate and reliable mechanism. The spirit of the race remains ever present, even for those not on the starting line next May 15th.